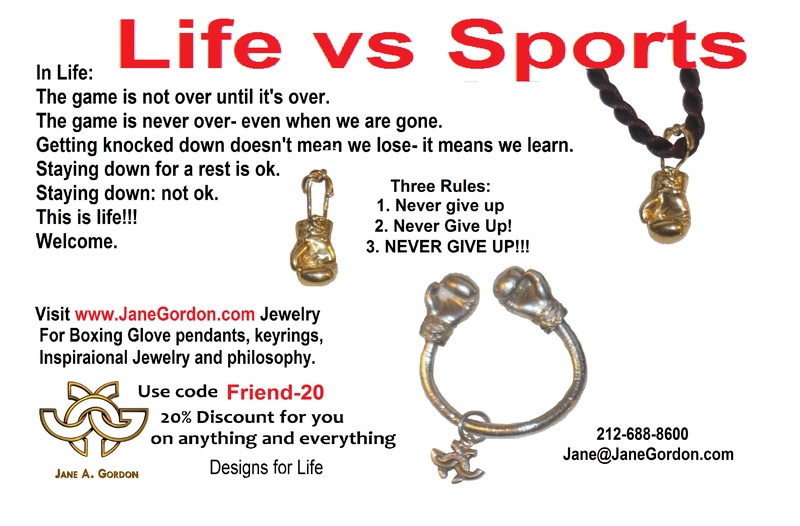 BOXING GLOVE PENDANT: Keep Fighting. For good, health, love, life - - keep fighting. These were originally made for Showtime Boxing. Soon after I started giving them to friends who were facing huge life challenges to remind them to keep fighting. It's become something of a talisman, a touchstone, to remind us to never give up. And remember, we must fight for more than ourselves. We must fight for what is good and right in the world! Ok - - ironically, at some time we also must learn to know when to fold 'em.... but that is a conversation for another day. Think about this: in sports the only reason someone has to lose, is because there is an arbitrary end of the game. In life, the game goes on. Life is not a pie, not a zero sum game where someone has to lose for someone else has to win. Even what appears to be loss in life, often just clears the way for better. Click here for more Boxing Glove pendants and key rings. Let me know if you want the images made into something else.